May Wine Punch is called Maibowle in Germany. The May Punch is a traditional German favorite to celebrate May Day. 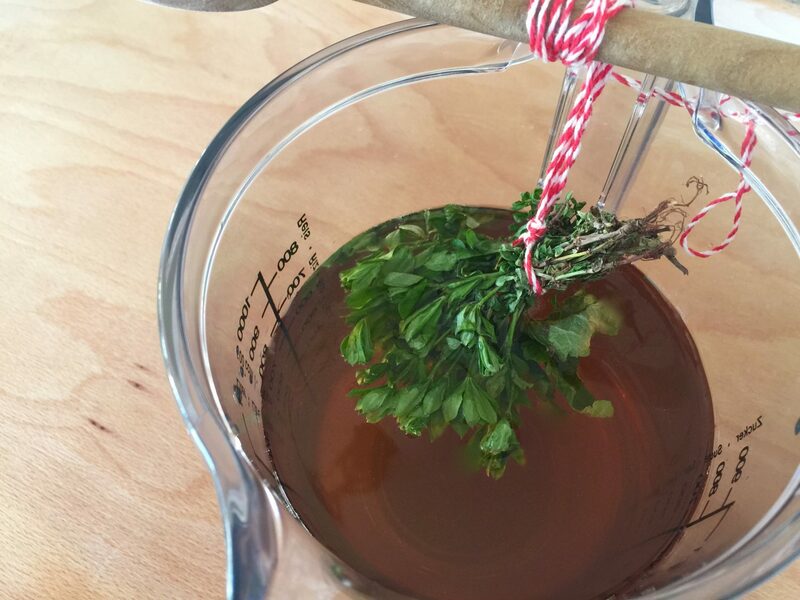 May Wine Punch is made with Sweet Woodruff flavor, (Waldmeister or Maikraut) known, loved, and celebrated in Germany. The punch can be made with or without alcohol, so that children and adults may enjoy this flavorful drink while dancing into the bliss of May. Scroll down and you will find both alcoholic and non-alcoholic recipes. They are easy to make. Harvest the sweet woodruff before its flowers starts to bloom. 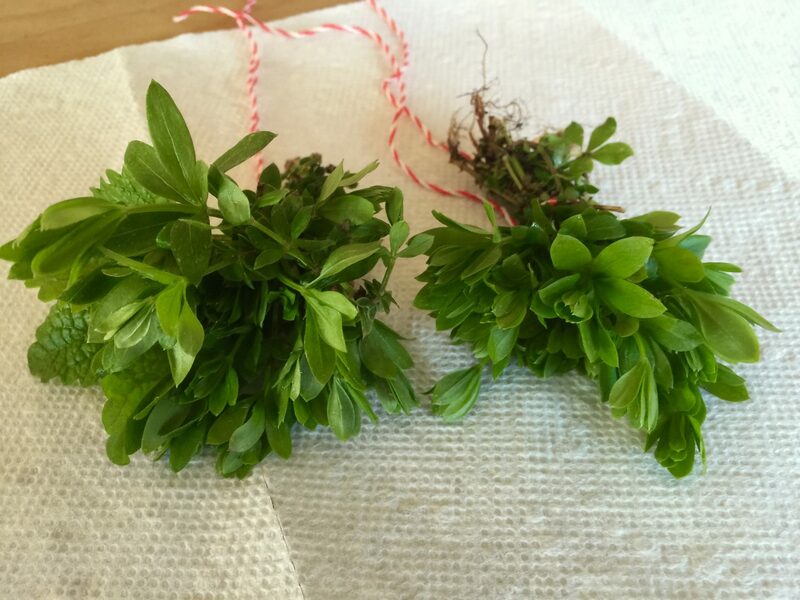 Wash woodruff and lemon mint and dry them with a paper kitchen towel. Bind it in two bunches and let it dry overnight, but no longer than 3 days. The longer you dry the woodruff, the more intense the flavor will get. Pour 1 bottle of wine into a bowl and add sugar, stir until the sugar has dissolved. Place a cooking spoon across the top of the bowl. Attach a string to the cooking spoon and hang the woodruff upside down into the wine. Ensure the roots and lower end of the stems are not in the wine. Let the woodruff hang into the wine for at least 35 minutes, but no longer than 45 minutes. Take the woodruff out and add in the second bottle of wine. The natural color of the punch should be the same as the color of the wine you are using. Adding a few drops of natural green food coloring will give your punch the green color this May Wine Punch is known for. Before serving, add the champagne and finish off with slices of lemon as garnish. Keep the punch chilled. If you are using canned pineapples, place them in a sieve to drain. 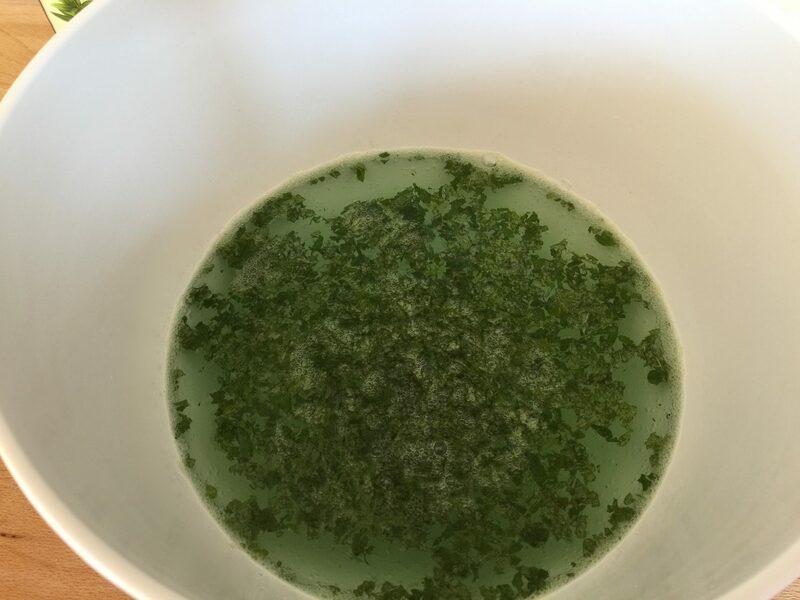 Using a whisk, mix the woodruff syrup with the spring water. Add in the sparkling water and the lemonade (or grapefruit beverage) and stir. 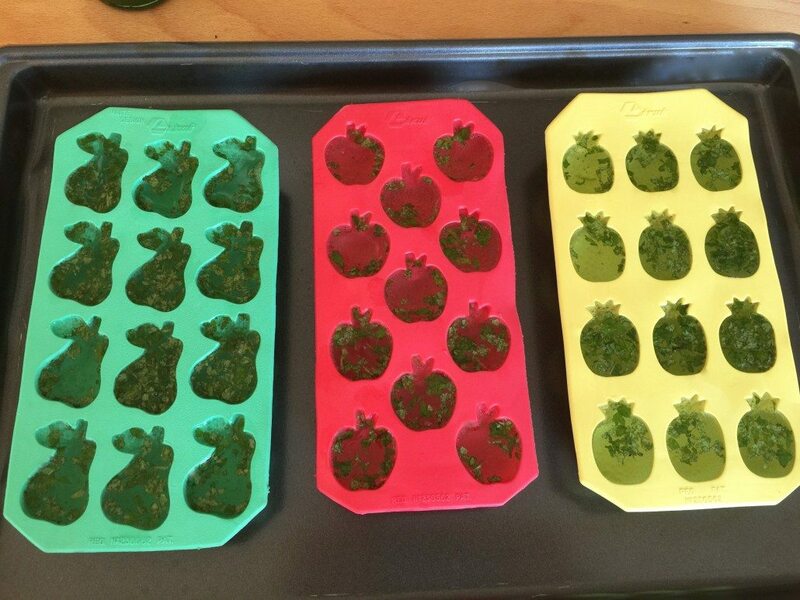 Add the food coloring until the punch has reached your desired shade of green. Fill a nice glass pitcher with the punch and add in the pineapple chunks. Serve chilled. Mix the water with the syrup and lemon juice. Wash the lemon mint and cut it with either a knife or use a food chopper. Add to the liquid. Mix with a fork and fill your tray. Place it in the freezer until frozen.